For secure access to the online store, click here. This AC/DC wall adapter provides a substitute for a 9V battery to power many of your HiViz.com circuits. The adapter accepts 100-240V input voltage at 50-60 Hz; output is a regulated 9 VDC. 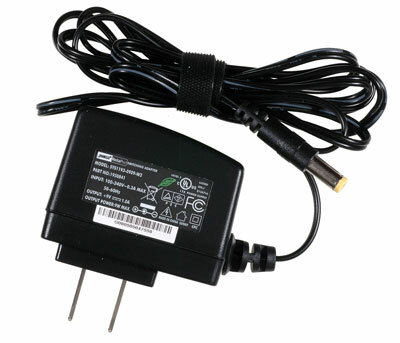 The power rating is 10 W. The AC plug is a standard 2-pin non-polarized US plug. An adapter may be needed for some countries.